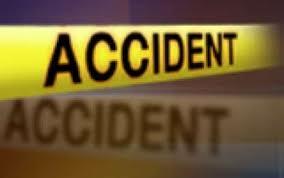 At about 10.30am this morning shortly after the rain stopped, there was a serious accident at Allen Avenue in Ikeja. 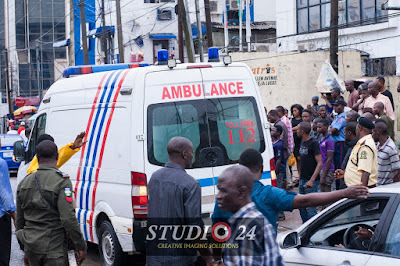 The Nissan car in the picture while on top speed was said to have hit a commercial bus popularly known as danfo from the back. It was reported that the driver who was a learner lost control of his break. 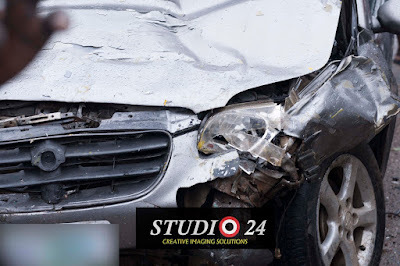 The passengers sitting behind were said to have sustained major injuries. 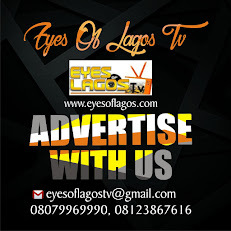 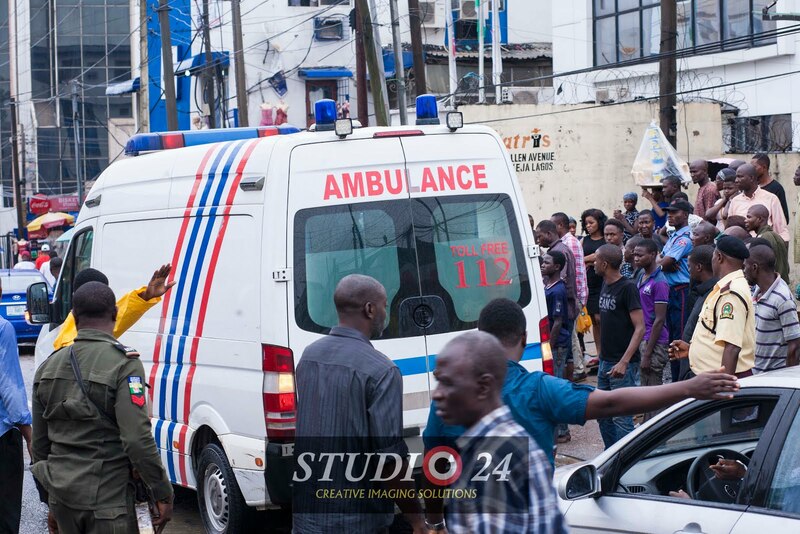 The lagos state emergency ambulance responded swiftly and took away some of the wounded victims.